The ever popular Derby Feste returns on Friday 27 and Saturday 28 September 2019. This year the organisers have joined with Derby Cathedral to present ‘Museum of the Moon’, a touring artwork by UK artist Luke Jerram. 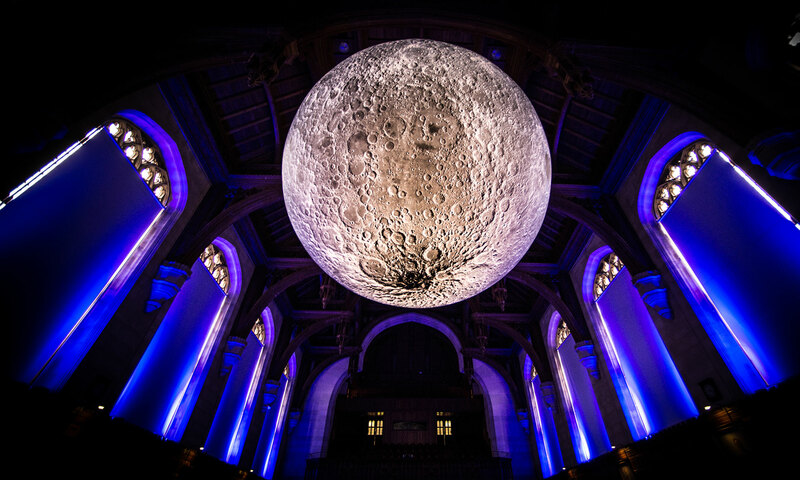 The installation, measuring seven metres in diameter and featuring 120dpi detailed NASA imagery of the lunar surface, will be in place at Derby Cathedral for visitors to enjoy in the run up to, and throughout, Derby Festé. The finale of Friday evening will feature Dutch company, Close Act, who will parade their giant futuristic silver creatures through the St Peters Quarter and Cathedral Quarter – finishing in the Market Place at 9pm. Derby Festé is produced and presented by Déda, Derby LIVE, QUAD and Derby Theatre in association with the Without Walls Touring Network Partnership. It is also funded by Arts Council England and Derby City Council with sponsorship from Derby Cathedral, University of Derby, Cathedral Quarter and Intu Derby.